What’s in my bag this summer? Only the essentials!!! Lucky Brand bag, Frankies Bikinis bottoms, Fujifilm instax mini 8 camera, Pina Colada SPF 30 Sunscreen from Coola, Kiss Gel Fantasy Nails in Rush Hour, Cocoa Butter Vaseline (I use it for my lips!!! 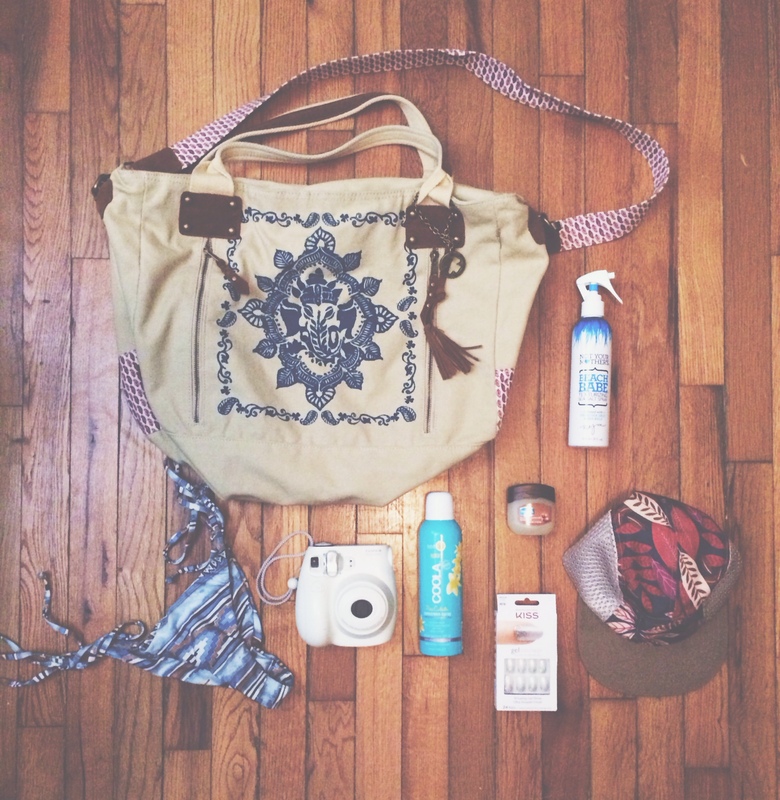 ), Urban Outfitters hat, and Beach Babe Sea Salt Spray from Not Your Mothers! Leave a comment below and tell me what YOUR summer essentials are!!! And don’t forget to subscribe! !